With its love affair with proprietary technologies, long-standing corporate culture, and Japanese sensibilities, it's hard to imagine Sony handing the keys to its most beloved gaming franchises over to a third-party developer. 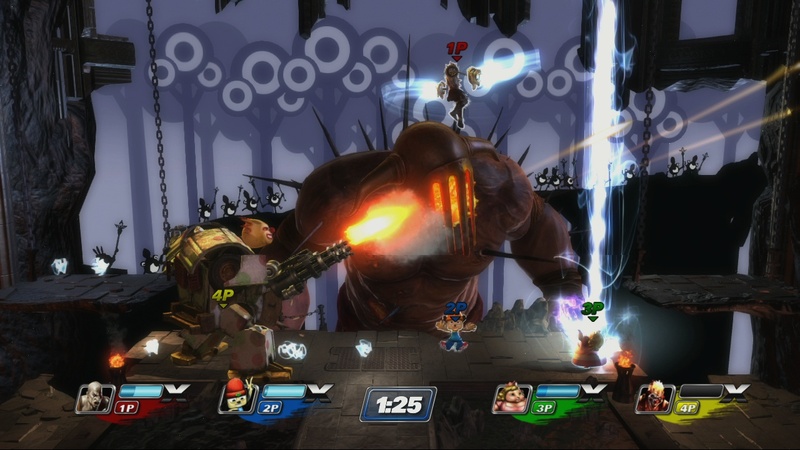 Yet, featuring characters from the most iconic first-party games in the PlayStation library, PlayStation All-Stars Battle Royale is a 4-player casual fighter designed to rival Super Smash Bros. and it's all being made by the independently owned SuperBot Entertainment. In many ways the game is an exercise in trust, both regarding Sony's working relationship with an external studio, but also the relationships built between long time PlayStation fans and their suite of intellectual property. A game like PlayStation All-Stars only works if fans care enough about the roster of characters to want to see them brawl and the developer handling the adaptations is able to deliver honest versions of those characters. That investment of faith is paying off, though, with a whimsical fighter that celebrates the best of PlayStation's nearly 20 year history. 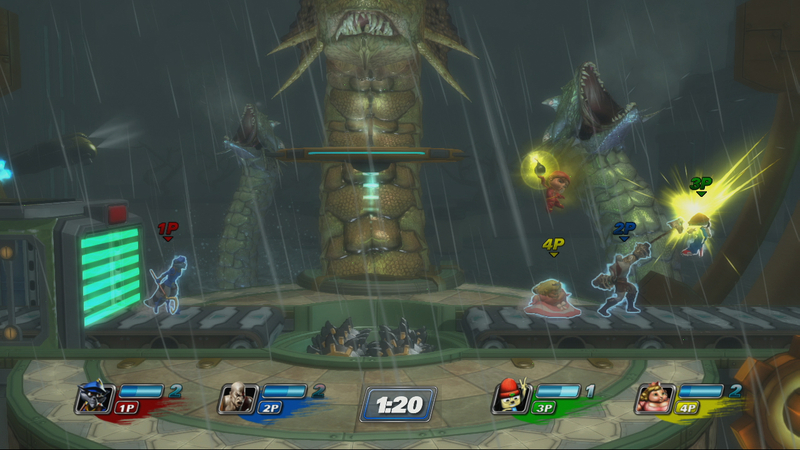 We find Kratos (God of War), Sweet Tooth (Twisted Metal), Fat Princess (Fat Princess), Sly Cooper (Sly Cooper), Col. Radek (Killzone) and PaRappa (PaRappa the Rapper) pitted in a bout to the death across a variety of recognizable locales. 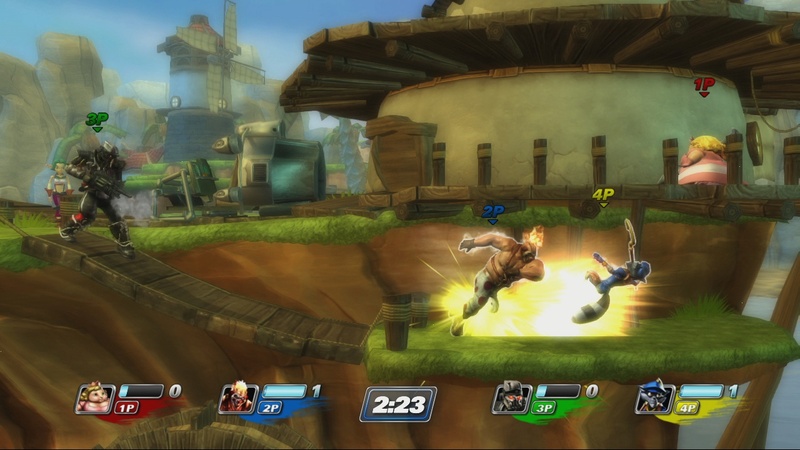 Each character brings its own unique play style to the game, offering the sort of variety needed to build a functional stable of fighters for different types of players. Kratos is by far the most natural fit for the game, with his Blades of Exile and other medieval weapons providing tactical advantage at short range. He's a character that's all about powerful hits that knock players around the map like tennis balls fed into a pitching machine. What makes him interesting is his ability to use the chains to latch on to enemies and close the distance to them in relatively short time. Sweet Tooth, on the other hand, is a much more tactical fighter, using mines and mortars to control the battlefield's flow. He's not as fast as the others, but he makes up for it by creating danger zones that players actively have to avoid lest they find themselves on the wrong end of a bazooka. It's a clever direction for a character who's never been playable outside his ice cream truck, but manages to work. 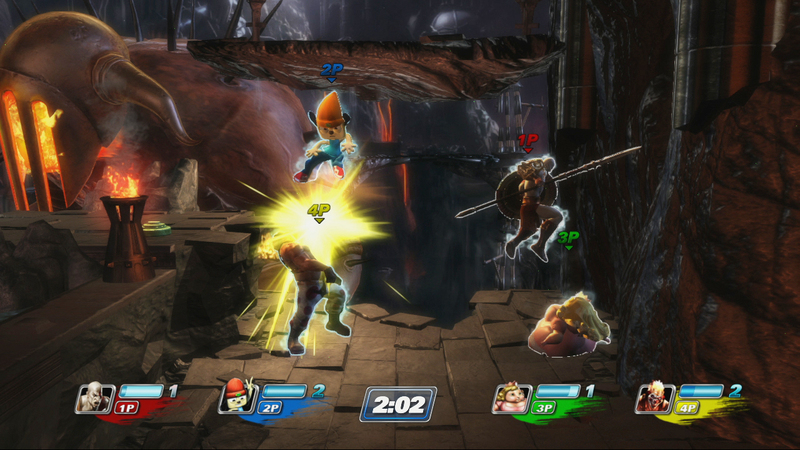 As a non-combat character, PaRappa could have gone in a number of directions, but the lightning-fast close quarters combat he's capable of packs a million punches in a minute, just like his raps. Making use of his skateboard and boombox for special moves, he has all of the trademark attitude we've come to expect from PlayStation's poster child of the 90's. Similarly, Fat Princess offered the devs a creative blank slate, but the combination of steamroller weight and the ability to call upon an army of knights and mages for specialty support captures her essence perfectly. She's a big girl and hits like the brick house she is; her attacks are some of the slowest seen so far, but pack an incredible punch.